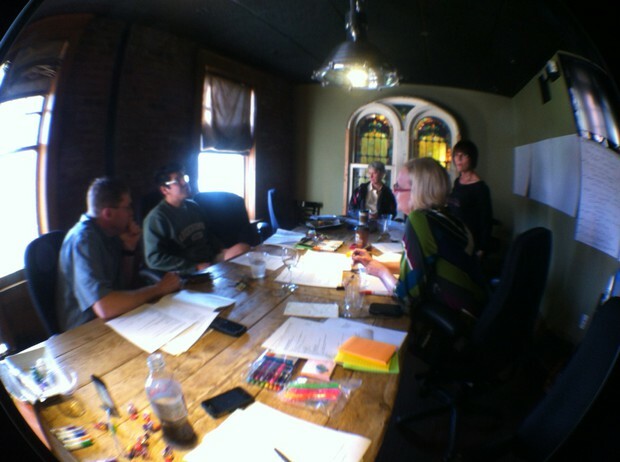 The Leadership Team has been hard at work planning this summer's ISI, which is sure to be a wonderful opportunity for growth, development, and reflection for a new group of teachers. Don't forget to tell your colleagues about this wonderful upcoming event! Educators can now apply for the 2012 ISI and become a part of an amazing network of professionals. Participants will earn graduate credit, and will become members of a forward-thinking NWP Chapter. Remember that tuition waivers CAN be used, which significantly reduced the total cost of enrollment. For more details, download the application below and share it with a colleague. 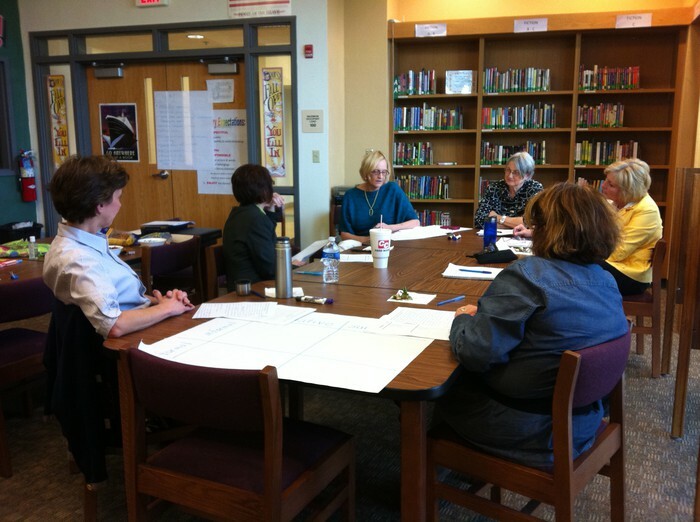 On Thursday, March 29, seven PBWP Fellows met at Mascoutah Middle School in Mascoutah, IL, where the renewal was hosted by 2009 ISI Fellow Amy Shubert. The renewal began with the powerful image of Dawn Jung sharing samples of her son's early writing as well as his doctoral dissertation, and posing the question of how we, as educators, assist our students as they transition for budding writers to accomplished writers of very complex compositions. How do we support writing growth? What do you want others left with when you enact? This conversation led us to our first Quick Write: How do you determine what kids know about writing and that your instruction meets their needs? Some of the ideas that emerged were the need for purposeful, guided, deliberate writing assignments, as opposed to writing that merely feels like "busy work." 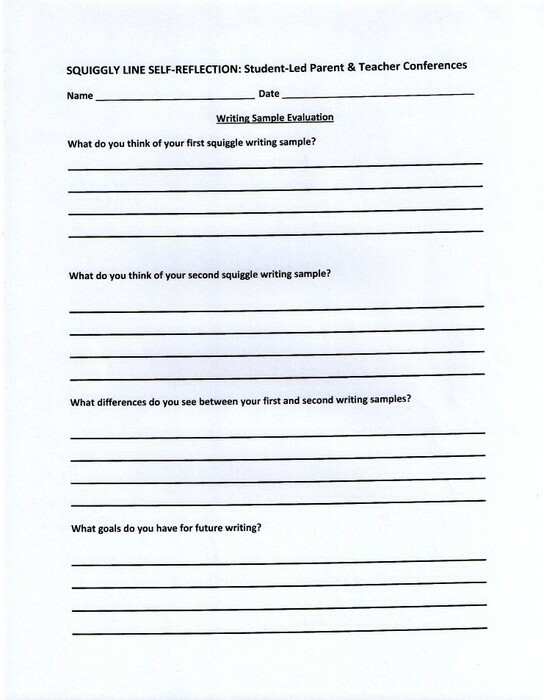 It was also brought up that writing can be used as a tool for student reflection, which would make it useful for validating student thoughts, dislikes, struggles, etc. Next, Dawn gave participants a chart for filling in information about formal, informal, formative and summative assessments. The group discussed the differences between these types of assessments and the need for ongoing formative assessments, which could include teacher observations or students' reflective writing, in order to assess student progress throughout the school year. Dawn transitioned from the topic of assessment to the "squiggly line" assessment sample by first sharing the book Lines That Wiggle by Candace Whitman, a picture book about different types of lines. Dawn provided each person with a paper containing a squiggly line, which fellows then used as a starting point for a picture of a favorite place. 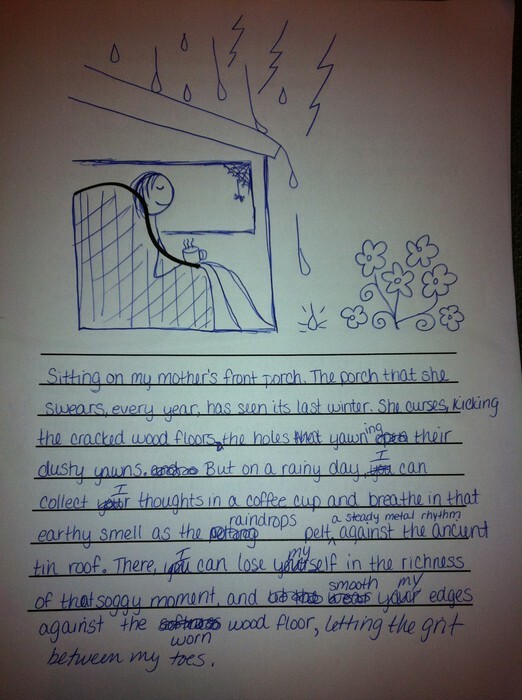 After adding to the squiggly line to create their favorite places, fellows also wrote about their selected settings. Fellows then shared their writing in pairs before learning how to use this tool as a form of assessment. Dawn shared samples of squiggly line assessments completed by a student over the course of one school year. Fellows shared their noticings about the student's development, including his ability to write longer, more complex and detailed sentences, as well as the student's shift from a "safe" interpretation (the squiggly line is a snake) to a more creative envisioning (the line is a truck). Fellows also saw a Squiggly Line Self-Reflection completed by the same student. Fellows then revisited their earlier quick write, adding new thoughts that had emerged as a result of the renewal. The value of writing as a tool for assessment and student reflection was reaffirmed as a vital component of the learning process. Patti and Dawn then reconvened for the unpacking of Dawn's IIMP, allowing Dawn to reflect on the success of her practice.